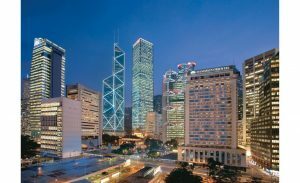 Mandarin Oriental Hotel Group has partnered with a number of luxury brands to offer additional benefits to members of Fans of M.O., the Group’s enticing guest recognition programme. Members of the programme already receive an extensive range of complimentary privileges and personalised recognition when staying at Mandarin Oriental hotels worldwide. Now, these privileges have been extended to include ‘Partner Benefits’ which offer members a variety of luxury services and exclusive offers from a wide range of global luxury brands and organisations. To become a Fan of MO guests need only to sign up on mandarinoriental.com or on arrival at any Mandarin Oriental hotel. They enjoy members-only offers, complimentary wi-fi and a welcome amenity each time they stay at a Mandarin Oriental hotel. By listing additional preferences guests can further personalise their stay to ensure maximum comfort. Fans of M.O. who book their stay directly through the Group’s website at mandarinoriental.com, will not only be assured of the best and most flexible rates, but can also choose an additional two privileges during their stay, for example complimentary breakfast, a room upgrade or a late checkout.